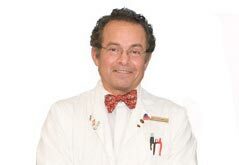 Alexander F. Castellanos, M.D., is a graduate of Stanford University, School of Medicine. Dr. Castellanos received his training at Stanford, USC, UCSF, Queens Square –London, England, and Mexico City. NOTE: Dr Castellanos is in every other Thursday (2nd and 4th of the month) from 8:30am – 4pm.